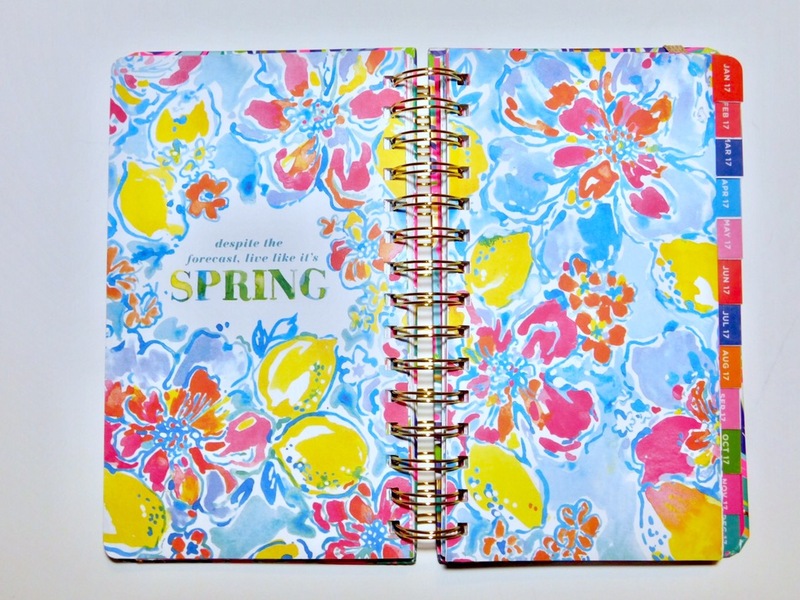 Besides my beloved Happy Planner, I also use a Lilly Pulitzer 17 month planner. It may seem like a lot to have two planners that I carry with me everywhere, but they both hold two different purposes! 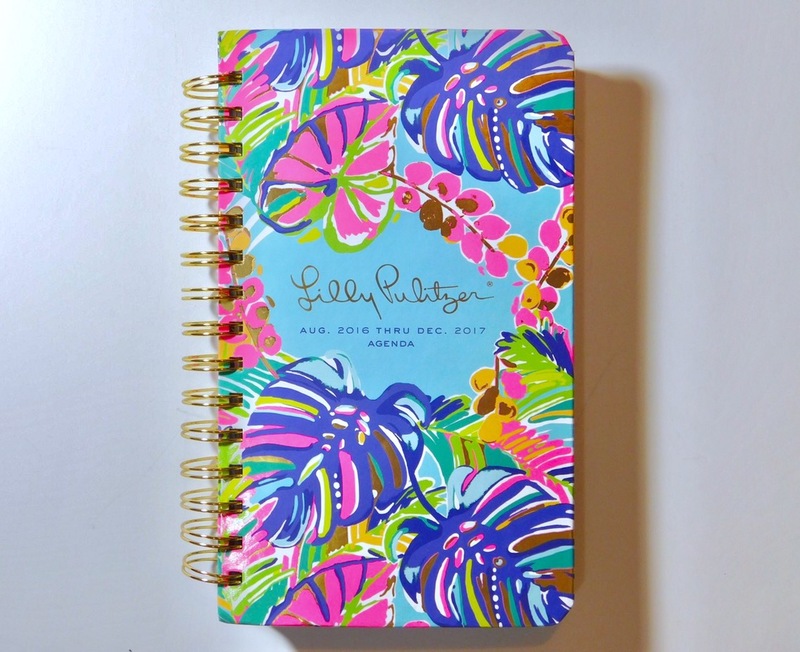 This is my cute Lilly Pulitzer planner! This planner I use specifically for school purposes only. Having everything in one planner is so stressful because it makes it hard to decipher what is what. So if you open your normal everyday planner with everything inside, I think we’d all agree it 1. Looks pretty overwhelming, and 2. It takes quite a few seconds to mentally sort out what’s for school, home, and everyday events. My school distributes planners at the beginning of the year but the setup on the inside just doesn’t fit my planning style so it’s not useful to me. (And besides the fact that it’s just plain ugly!) 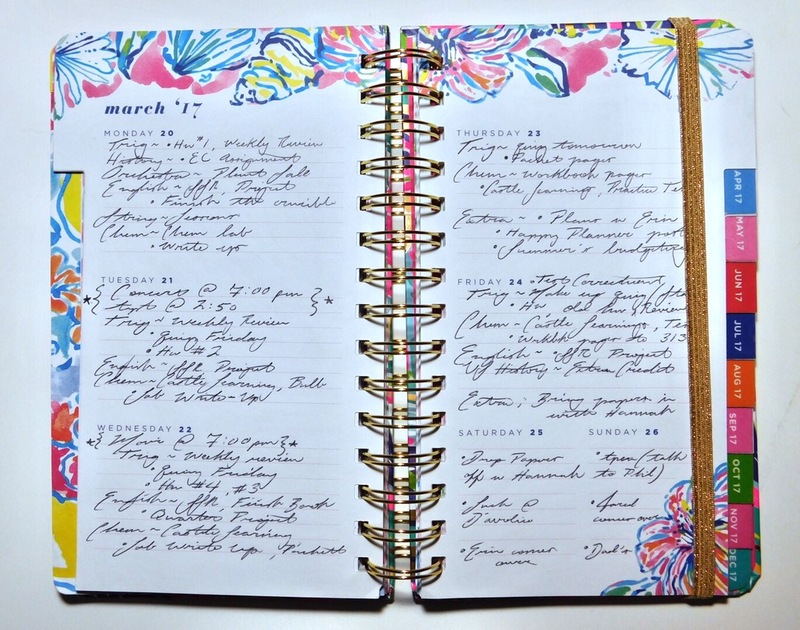 Even though it sounds stupid, having a planner that LOOKS appealing, will draw you to use it more! 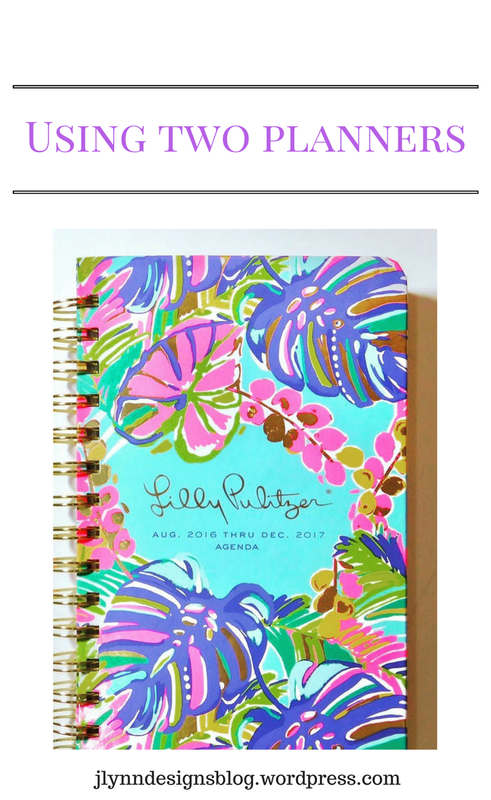 Sometimes I just flip through this planner because I’m in awe of how pretty it is!! This is the inside of my planner! As you can tell, it is VERY colorful! The bright pretty colors make me feel like I live in a warm pretty place like Florida, and it distracts me from the cruel Buffalo, NY weather. Each day is set up in paragraph style, which makes everything very compact. For school, paragraph style is very useful because everything is all in one place so I can just take a quick glance throughout the day and easily get a good idea of what needs to get done. I’ll write the class, and then a little list of my top priorities. I don’t write anything down unless it’s a priority, because let’s be real here, the last thing I want to be doing is schoolwork! I’d rather be uploading posts and hanging out with my dog while I drink spearmint tea! And this as you’ve seen in other posts, is my Happy Planner! I use this for basically everything else! The days are displayed on the page vertically. I leave two boxes open on each day. One for my blog specifically (normally the bottom box) and the other for home/plans with friends/etc. (normally the top box) this is super useful for me because it’s organized in the best way possible for me! 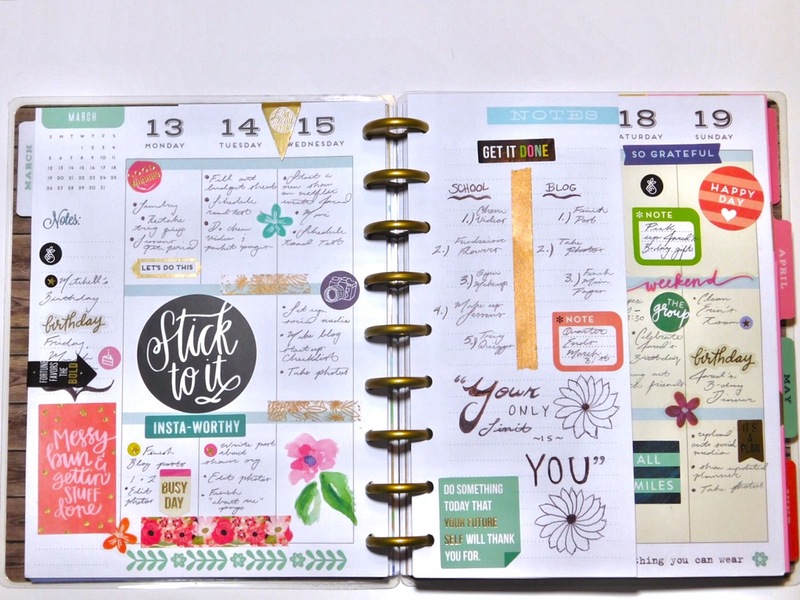 This planner is great if you have a very specific idea of what you want your planner to look like because you control it! The main reason why I recommend using more than one planner, is because it helps separate your life more so that in the long run, you’re less stressed!